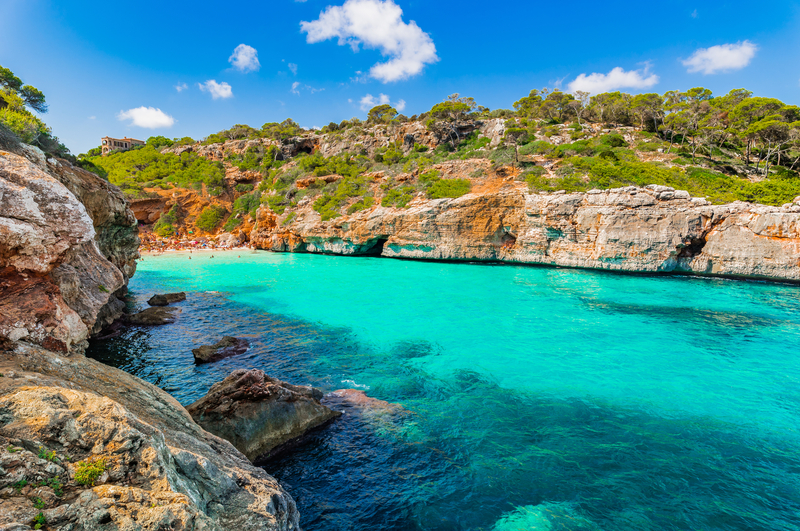 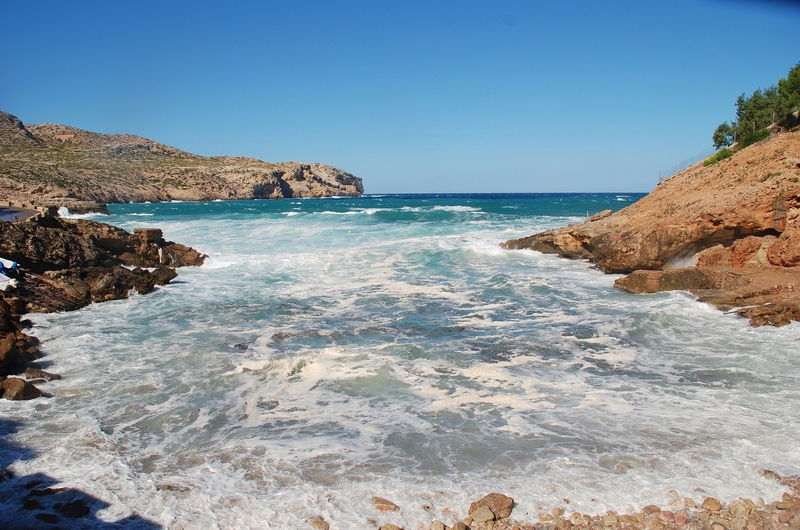 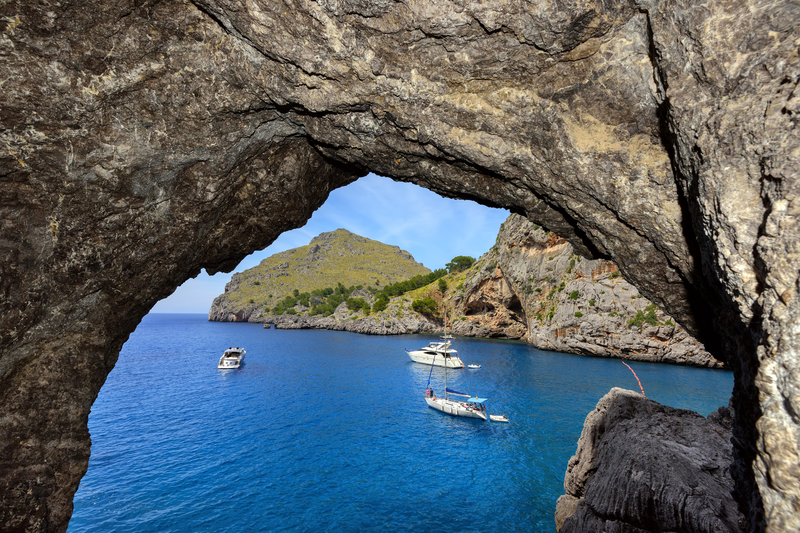 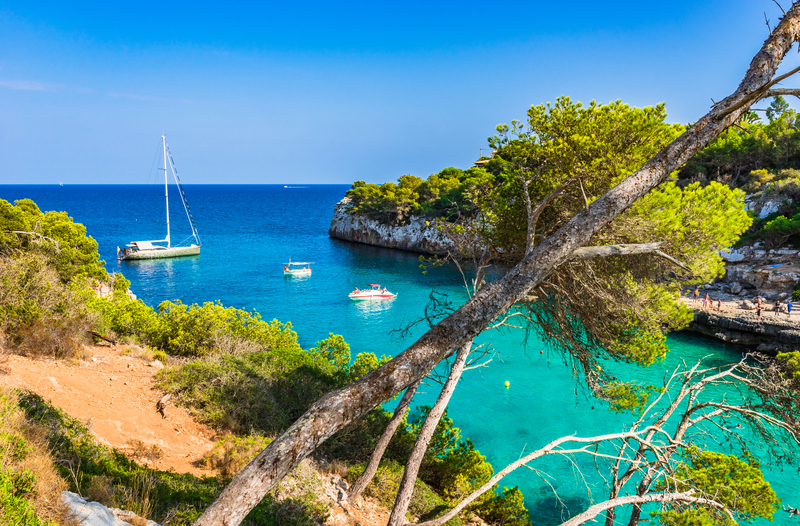 Cala Mondrago in Majorca coast. 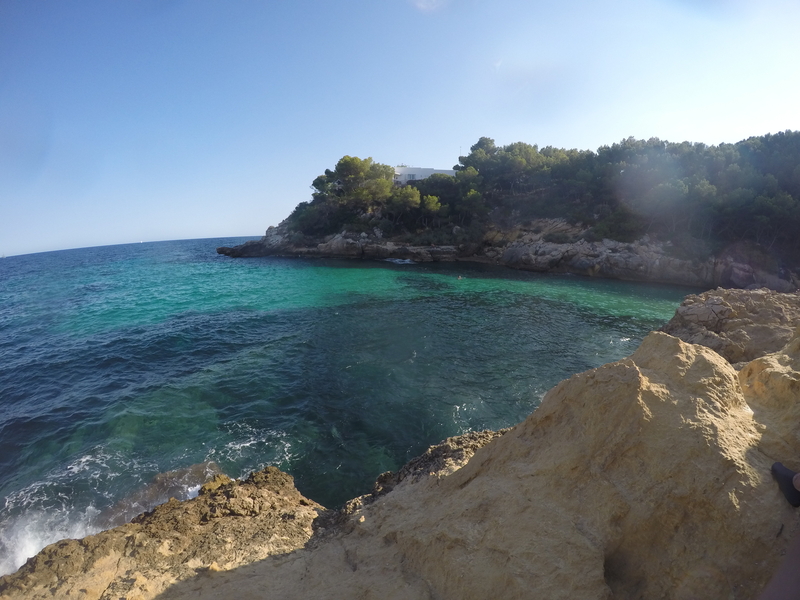 Sunny, mediterranean. 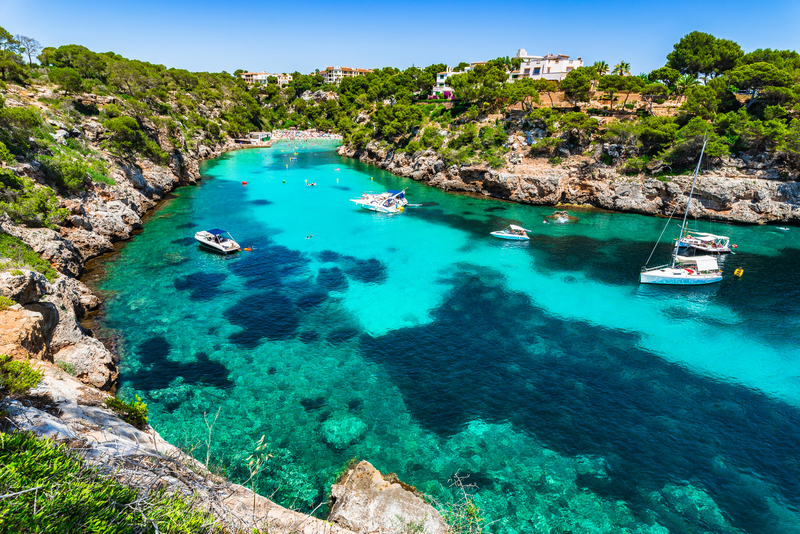 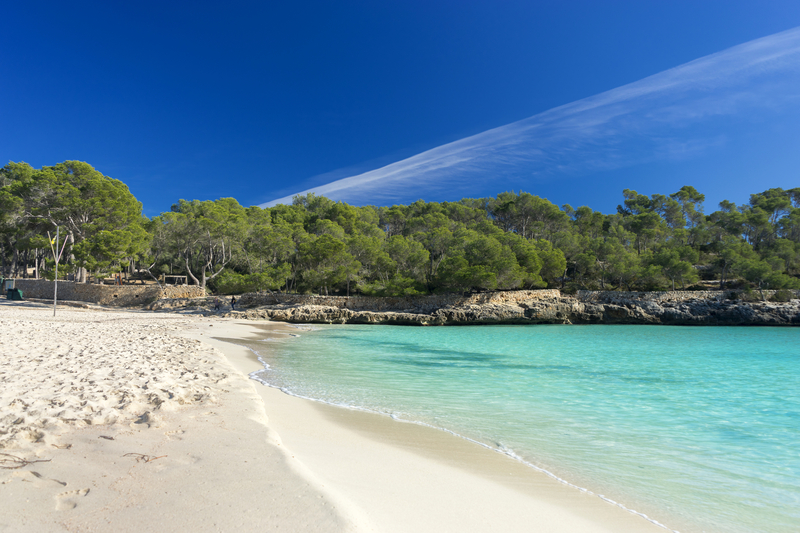 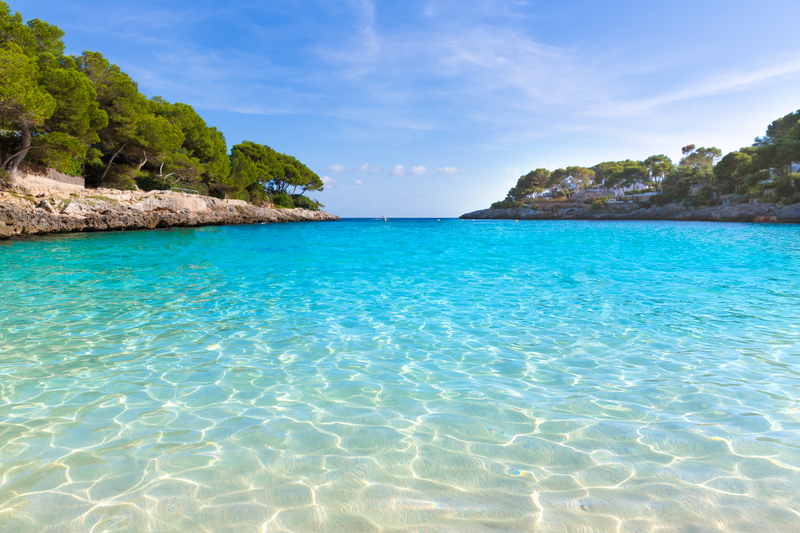 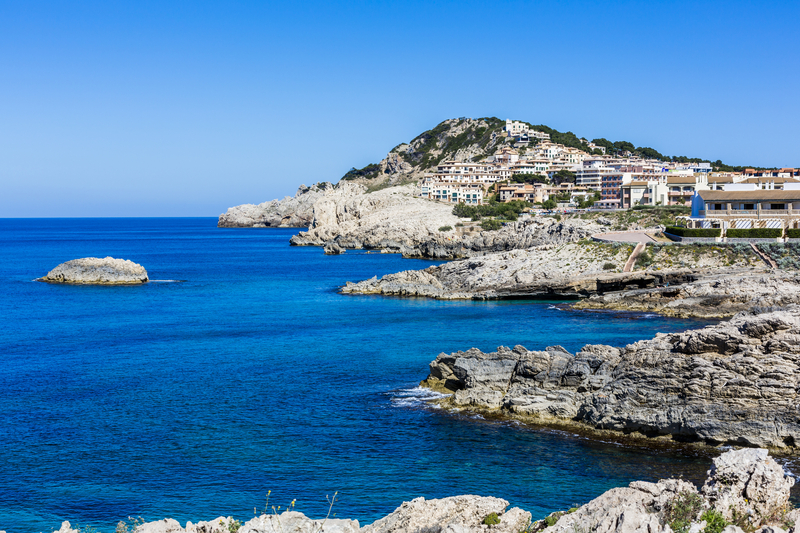 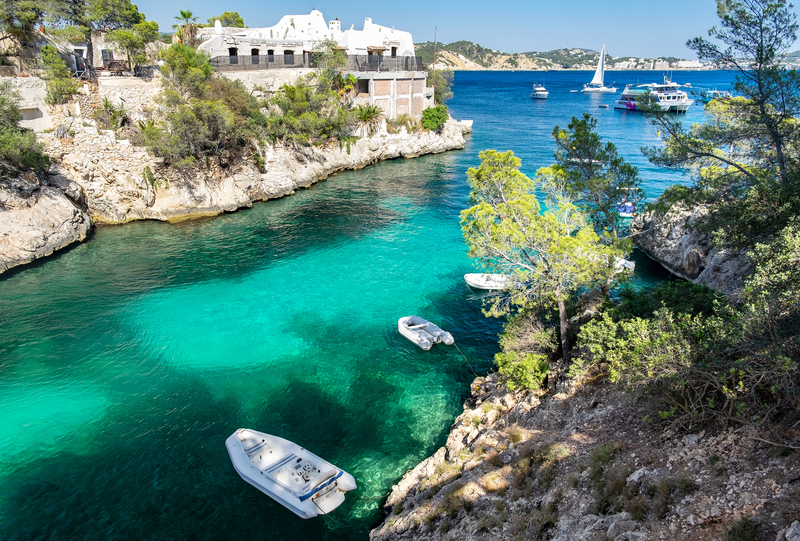 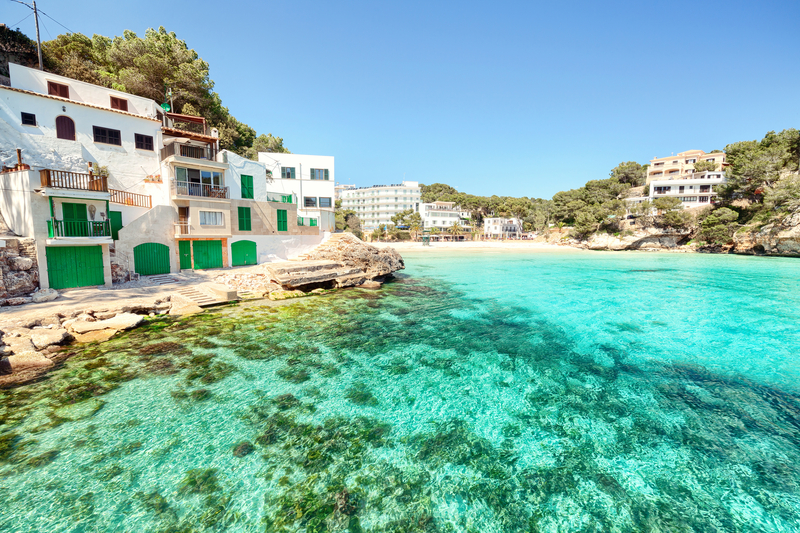 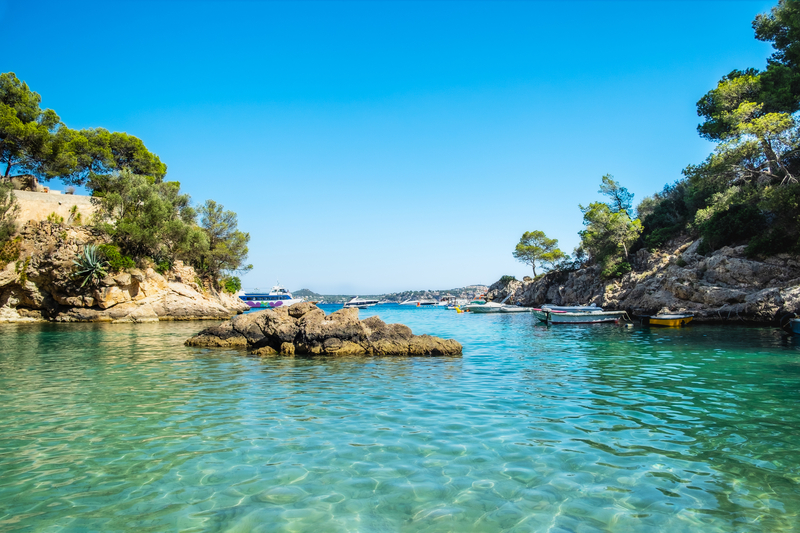 Beautiful view of the idyllic bay beach Cala des Moro Majorca Spain, Mediterranean Sea, Balearic Islands.